Today, 3 years ago, I made the change of going from dark to blonde and haven't looked back since. I've experimented with temporary crazy colours over the years, but my actual hair style hasn't changed. I've had my hair at shoulder length for about two years and went for a graduated 'bob' for a while before that. I used to wear hair extensions when I was younger, so I am completely used to the process of clip ins. It can be a bit of a mare putting them in and does take a lot of practice to make it look right, but they are fairly easy to get the hang of after some practice. I had been looking at various places for hair extensions and spent ages browsing. My hair is quite thick, so I knew I needed thicker extensions to blend in naturally with my own hair. 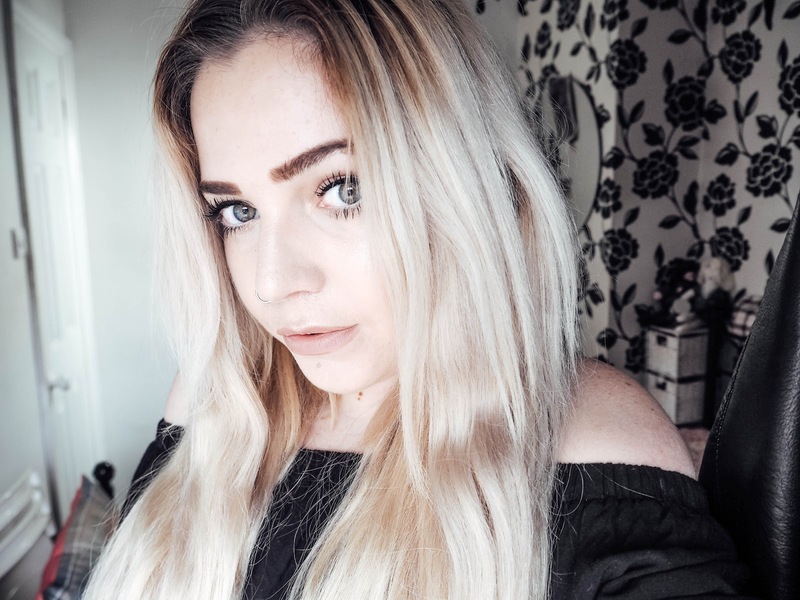 Cliphair is a hair extensions brand that I had heard many good things about in the beauty blogosphere, so I was delighted to work with them on this review. It feels like a very long time ago that I had long hair, so it was time for a change and sport princess locks once again. 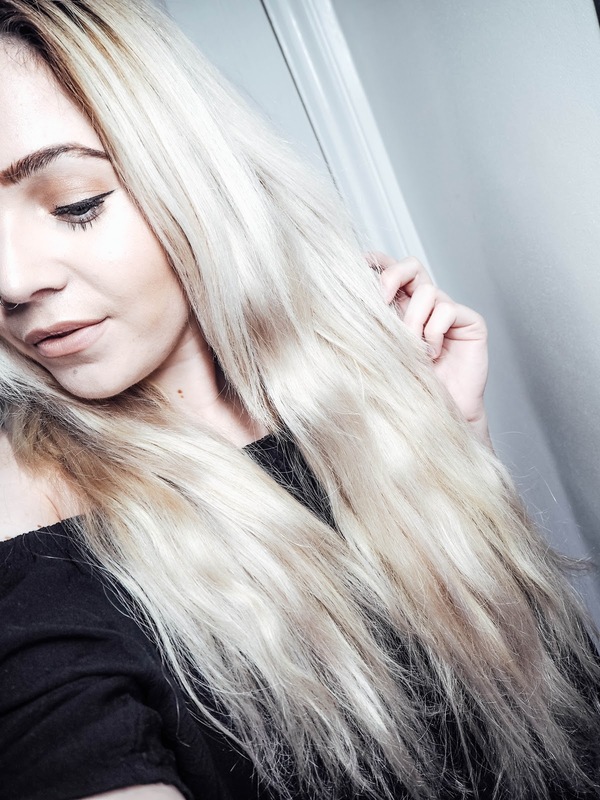 The double wefted clip-in hair extensions from Cliphair are what I ended up choosing. I went for the 18" length in the shade ash blonde. When they arrived, I did need to tone them twice, because they looked very warm compared to my own ash blonde hair. This was no problem though, as I had a bottle of Scott Cornwall's Colour Restore toner in Iced Platinum. I also applied some purple shampoo to the extensions prior to using a toner. This took all the warmth out of them and now they match my hair perfectly. The extensions are made using 100% remy human hair, so need to be treated exactly how you would treat your own hair. I have already washed these and left them to air dry over night. I have used heat tools on them and had no problems. I will also be using hair masks on them once a fortnight to make sure they keep their silky, smooth texture. 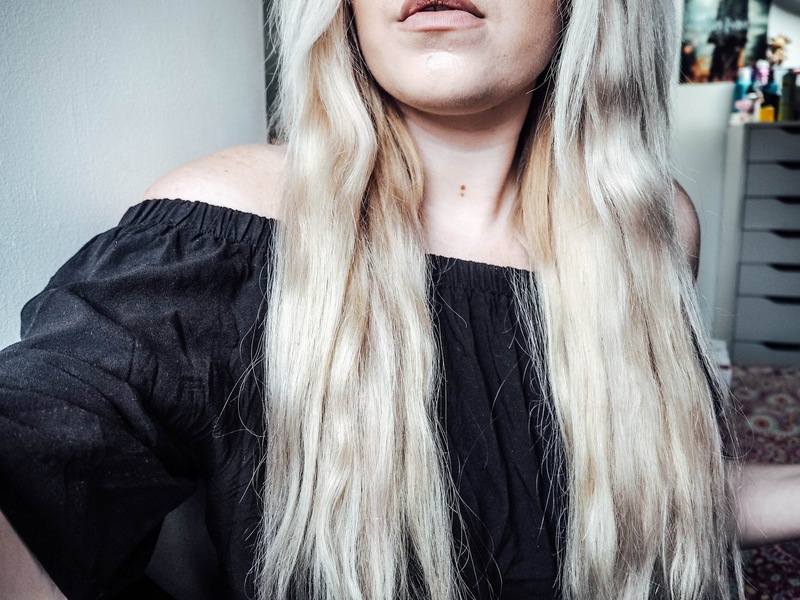 These double wefted extensions have clips already attached and double the amount of hair that you get in a normal pack, but with less clips and strips! A dream come true for anyone who would want to wear these most days. They are priced at £79.99 for 18", which I think is a great price for high quality hair extensions. I can tell they will definitely last for ages due to the high quality of the hair and of course, as long as I treat them with TLC. I am extremely happy with them and will definitely get more from Cliphair when they need replacing. I might even treat myself to micro ring extensions if I want the commitment to my new princess hair in the future! Disclaimer: In collaboration with ClipHair. I was sent some extensions for the purpose of an honest review on my blog. All views are my own. These look great, i'm thinking of getting some for my wedding so m braids are fuller and longer. They look beaut! 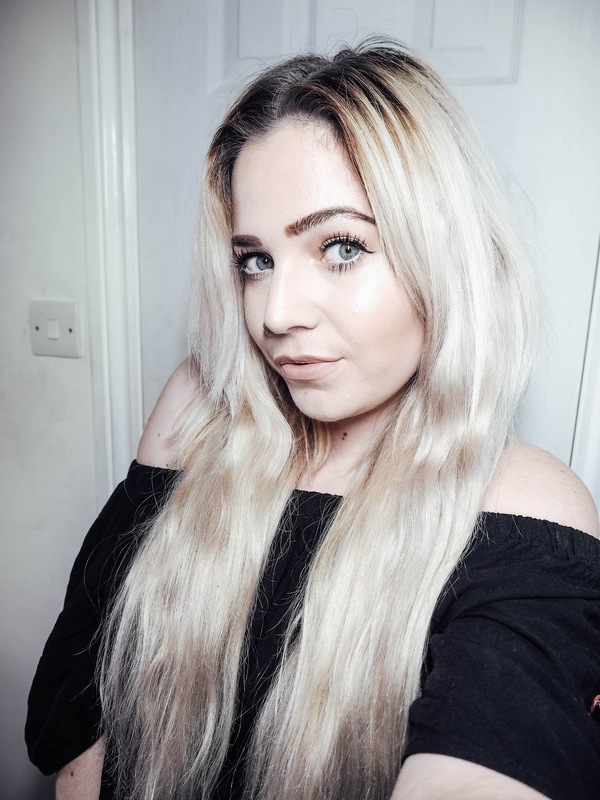 I've only ever had extensions from the hairdressers but I'd love to do my own! I've never tried clip in hair extensions, but I'm tempted. Also, I love your eye make up in the pix. I've been growing my hair for years and it's finally at a length I like. I do like the sound of clip ins as they seem easy plus they don't look like you actually have extensions in! I can't get over how realistic these look! I wish I'd known about these after my great hair massacre of 2010 - I wanted a pixie cut and ended up looking like a ginger Kelly Osbourne. I cried, a lot. These would have helped the growing back period! They look great. I really want to get extensions so badly. I've never used hair extensions but have often thought about it, you have really tempted me to give it a go. Your hair looks incredible! you look beautiful in your long locks ! blended so well with your hair.